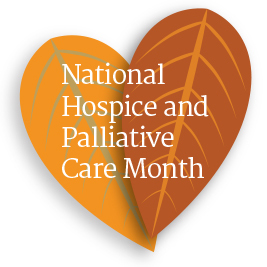 November is National Hospice and Palliative Care Month. Announced in 1978 by then President Jimmy Carter, the month was established to recognize the efforts of those who provide end-of-life care, and to help raise awareness of the growing hospice movement. When the observance was first established, the number of hospice patients in the United States numbered in the thousands. Today hospice programs in the United States provide care to more than 1.65 million people. Throughout the month of November, we will use Facebook to tell the story of hospice from the perspective of our employees. These dedicated members of the Hospice of Michigan family will provide a window into their lives as hospice professionals, and share their passion for the great work we do every day to improve the lives of our patients and families .